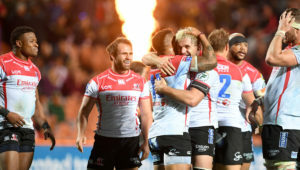 The Springboks will desperately need the buy-in of the Super Rugby franchises when it comes to the management of frontline players in a World Cup year, writes CRAIG LEWIS. 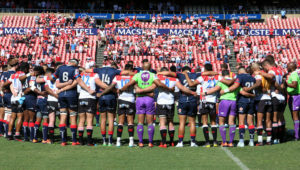 Last week, it was confirmed that the Super Rugby tournament will be played across 21 consecutive weeks between 15 February and 6 July in 2019. There will be no June internationals, but the Boks will then head into a truncated Rugby Championship that will serve as the final preparation ahead of the World Cup. There’s still a fair bit of rugby for some of the top Boks to negotiate before the World Cup, and there is precious little time between Saturday’s final Test of the year against Wales and the start of pre-season training with their Super Rugby franchises. 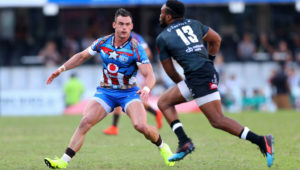 The fact of the matter is that there is just far too much rugby being played, and SA Rugby president Mark Alexander recently acknowledged that it was having a major effect on the injury toll to some key players. Meanwhile, many of those who have managed to push through a heavy workload this year have shown some clear signs of battle-weariness on the end-of-year tour. One can think specifically of skipper Siya Kolisi, who banked over 1,000 minutes of Super Rugby game-time this year, while he has started 12 Tests on the trot and played the majority of the 80 minutes in those matches. Particularly with the role that he has been asked to predominantly fulfil as an openside flank, Kolisi has got through a mountain of work, but at times during this end-of-year tour he has played as if he’s been on his last legs. 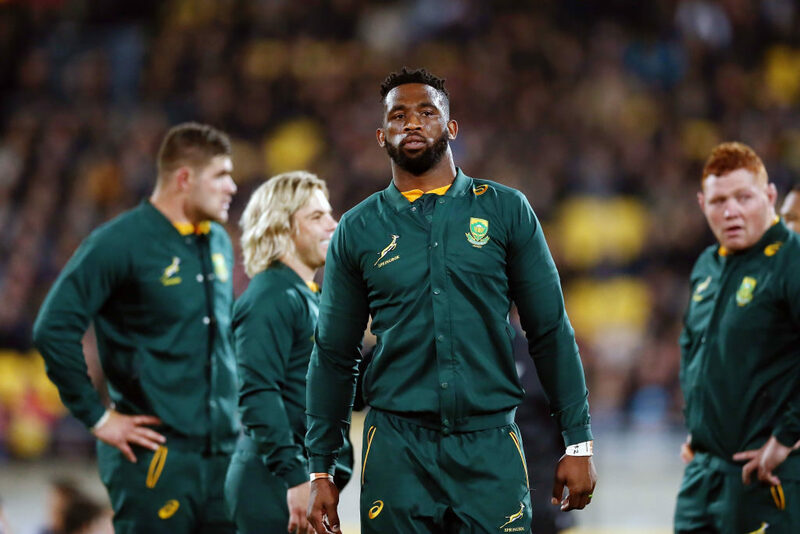 There hasn’t been quite the same swagger, smile and bounce about Kolisi during the November internationals, and while he enjoyed a more productive outing against Scotland this past Saturday, he was involved in a most uncharacteristic scuffle where he appeared to strike an opponent with his head. It was a lapse in judgement that is hard to fathom, but there has appeared to be something a little ‘off’ about Kolisi in recent weeks, and one wonders whether it can’t at least be partially traced back to the frustration of a player who has been worked into the ground. He’s not the only one who has been a bit out-of-sorts. Lock Franco Mostert played every minute of Super Rugby, and has started 10 Tests this year. There also hasn’t quite seemed to be the same energy about him on the end-of-year tour. The same could be said for Malcolm Marx, who banked 1,075 minutes of Super Rugby game-time and has started eight Tests this year. 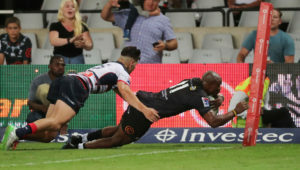 Aphiwe Dyantyi banked a reasonable 982 minutes of action in Super Rugby. Yet, over the course of the three-match June Test series against England and the Rugby Championship, he was involved for almost every minute of action (700 out of 720). 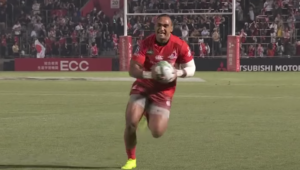 He even started in the Lions’ Currie Cup semi-final, but then hasn’t quite had the same zip on the end-of-year tour. This is not a new phenomenon, with the November internationals coming at the end of an immensely lengthy season, and requiring the Bok players to tap into the very last drops of their energy reserves. However, it should be a particular point of concern heading into another busy World Cup year. Last week, Australia announced plans to rest key Wallabies during next year’s Super Rugby competition to ensure they are fresh and injury-free ahead of the 2019 World Cup. With New Zealand’s central contracting system, they will also be able to manage their players carefully. For the northern hemisphere teams, with no incoming Tests next year, and the Six Nations finishing in mid-March, their players should also be fit and fresh by the time the World Cup rolls around. In this regard, the Springboks cannot afford to lag behind. In his dual capacity as SA director of rugby, Rassie Erasmus will desperately need to have the support of the Super Rugby coaches when it comes to managing player welfare. The good news is that the Bok management does appear to have already established open communication lines between national and franchise levels. Erasmus himself is also set to be involved in the Bulls’ appointment processes, while Bok assistant Swys de Bruin will be mindful of the national needs when he returns to his post as Lions head coach. One way or another, the Springboks cannot afford to have battle-weary players flirting with burnout when the global showpiece in Japan gets underway next September.